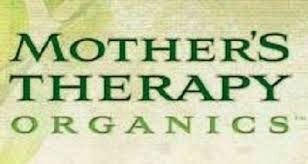 Have you ever heard of Mother's Therapy Organics they make all kinds of stuff baby lotions,kids hand sanitizer, body lotion, and regular sanitizer. All these products are great and I recommend them to everyone. and well-being of children is paramount. as the active ingredient in our Kids Hand Sanitizer. Contrary to popular belief, an alcohol-based hand sanitizer can leave skin softer than before use! *Germ Fighting Hand Lotion A small dab of Mother’s Therapy Organics Germ-fight’n Hand Lotion prior-to and after a diaper change keeps baby — and yourself — healthy and clean. *Baby Lotion A baby’s newborn skin is especially susceptible to absorption. It’s therefore essential that what you place on your baby’s skin will not damage the cells which are just building! Mother’s Therapy Organics Baby Lotion is the natural alternative to rubs or creams that often do skin more harm than good. Our non-greasy lotion maintains the delicate balance found in babies skin while offering a relaxing sensation that soothes sensitive areas. I love a good lotion! I use a lot of spray oils for my dry skin!! Favorite skin care product is hand lotion- my hands are super dry and need all the help they can get. My favorite skin product is butter cream! I like Radiantly You healing calendula balm. I like make up removing wipes! My favorite is my Aveeno hand lotion. Coconut oil is my favorite skin care product. I use all different products on my skin. It pretty much is what I have in the bathroom. Currently, I am using a body butter from Victoria's Secret, my skin smells nice and it's nice and soft. I love simple face wash and pretty much everything that they make. I enjoy a good, thick lotion. Something hydrating without a lot of perfume or heavy scent. My current fave us Udderly Smooth. I love using facial toner!